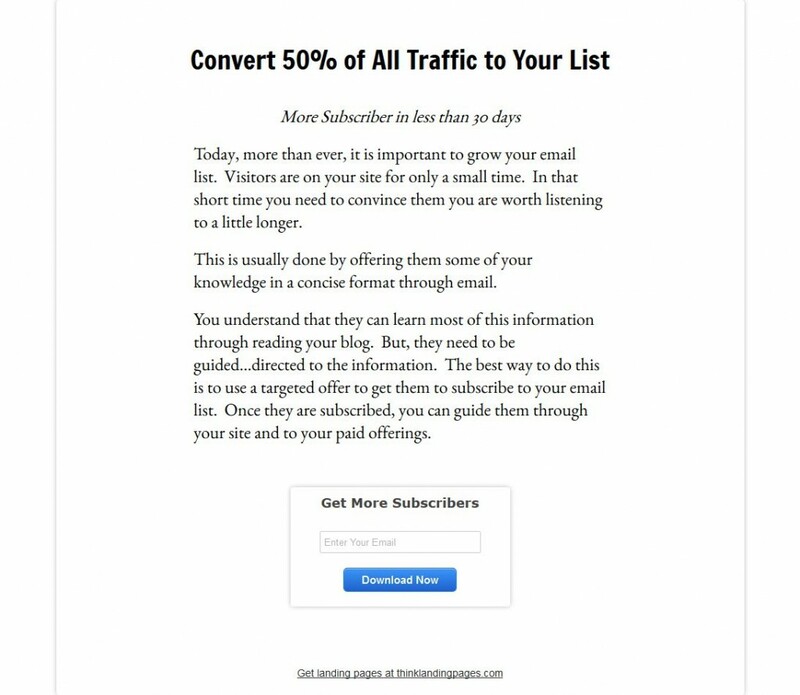 We have put together a squeeze page that is sure to get you more subscribers. You can download the page by clicking the link below. You will get a .zip file. Just unzip the file, edit the page, and upload it to your website. If you would like to build this page in the Ultimate Landing Page Advanced WordPress Plugin, you can find a screen capture of the setting below. If you don’t already have it, click here to get the Ultimate Landing Page Advanced WordPress Plugin. To build this page in the Ultimate Landing Page Advanced plugin, click the image below, zoom in and use the setting on your page. If you have any questions, contact us.